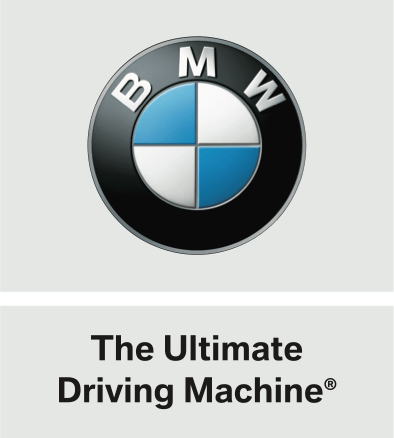 Only the best pre-owned BMWs qualify for the BMW Certified Pre-Owned Program. To be eligible for enrollment in the Certified Pre-Owned Vehicle Program, a late-model vehicle must have less than 60,000 miles on the odometer. Before the certification process begins, our BMW dealers ensure each prospective vehicle has an exceptional maintenance history, genuine BMW parts and review the CARFAX report. Certified Pre-Owned BMW's must pass an extensive examination and a thorough and rigorous inspection by Factory Certified Technicians. They inspect the vehicle for safety, performance and wear. If something is not right, it is fixed. If it cannot be fixed, the vehicle cannot become a Certified Pre-Owned BMW. Vehicles must be in like-new condition. That means using only certified BMW parts for any necessary mechanical repairs, ensuring the tires have the mininum amount of tread remaining to quality as a Certified Pre-Owned BMW, and thoroughly cleaning and detailing each vehicle to bring out its true beauty. Our strict certification standards eliminate the risks typically associated with financing pre-owned vehicles, allowing us to offer the same finance rates and terms normally reserved for our new vehicles. When you choose a Certified Pre-Owned BMW, you’ll have ultimate assurance with our BMW Certified Pre-Owned Limited Warranty. It provides comprehensive coverage for every Certified Pre-Owned vehicle for 1 year with unlimited miles after the expiration of the 4 year / 50,000 mile BMW New Vehicle / SAV Limited Warranty. Additional plans are available to extend your vehicle’s coverage. With the inclusion of 24/7 travel protection through BMW Roadside Assistance, the BMW CPO program is designed to give you complete confidence throughout every step of your BMW Certified Pre-Owned journey. Enjoy outstanding travel protection 24 hours a day, 365 days a year - even if someone else is driving your BMW. With no additional cost or mileage restrictions, the BMW Roadside Assistance Program is designed to ensure complete peace of mind while on the road. Available on many late-model vehicles, the BMW Assist™ Safety Plan offers emergency service assistance, collision detection notification and TeleService with the push of a button. Add extra time, mileage or coverage to your Certified Pre-Owned Protection Plan with Extended Vehicle Protection from BMW Financial Services. Ensure that all covered repairs are performed at an authorized BMW repair facility using only original BMW parts—helping protect both performance and resale value. Mile after mile, year after year, Extended Vehicle Protection means driving with ultimate confidence. Bringing your vehicle in for maintenance does not need to be an inconvenience. As a BMW customer, you are entitled to uninterrupted transportation—no matter where you purchased your vehicle. This means complimentary service loaners or alternative transportation for the duration of the protection plan any time you service your vehicle with a BMW dealership.